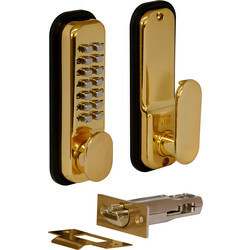 Push button locks are ideal for commercial buildings and buildings with frequent visitors as they don't require keys, using combination codes to open and close instead. 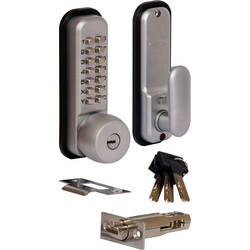 Find push button locks from trusted brands such as ERA for high quality and reliable locks. 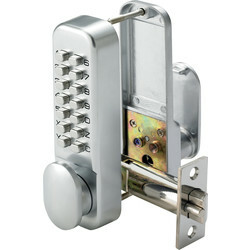 The ERA mechanical push button lock with a quick and easy code change is suitable for timber and metal doors and available in satin chrome or polished chrome. 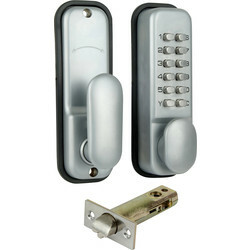 We stock a wide range of digital push button locks that are ideal for a high person turnover. 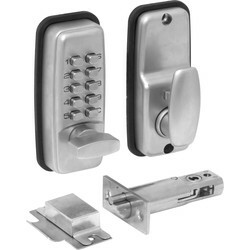 Choose from a digital push button lock with override and holdback for easy install, or the mini digital push button lock with holdback. 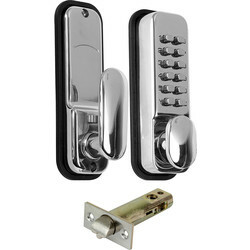 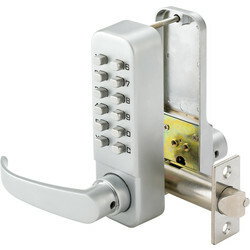 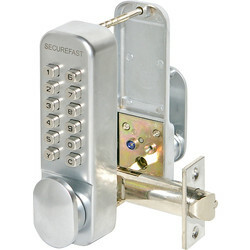 Some push button locks are available with pin guard or weather guards for added security and durability. Spend over £10 online and receive free delivery or click and collect from your nearest Toolstation branch.